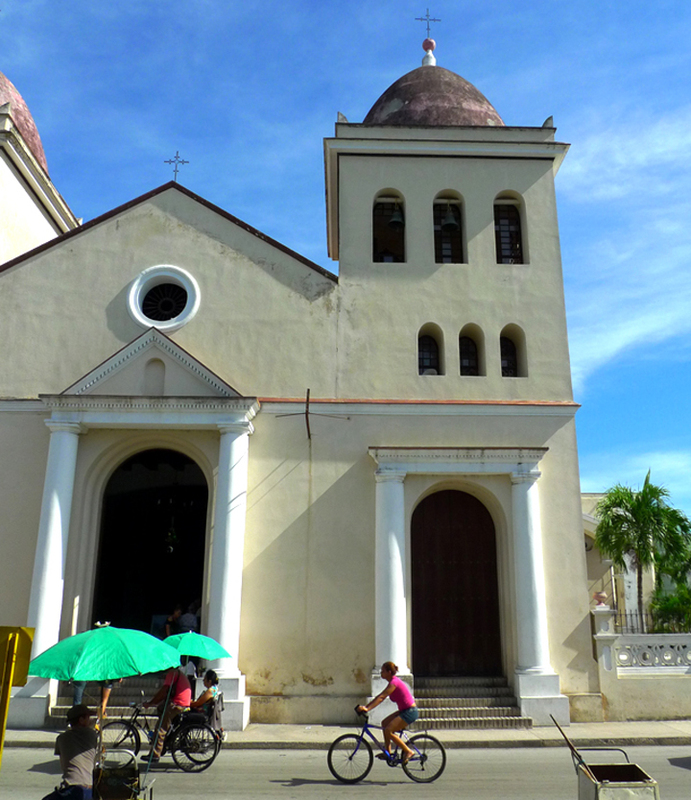 In San Isidoro de Holguín, on the north shore of Cuba, better known as "The City of Squares", on the beloved and worshiped "La Periquera" square and inside the Cathedral of San Isidoro, we meet a very special person. Speaking eloquent English, almost without an accent, he asked us if we wanted to know more about this old and important church and the city itself. We were more interested to find out about him. "Oh, I am an English teacher" he said. And when we asked if he lived or travelled abroad in order to speak so fluently, his response was quick, and humbling: "Yes. I've travelled a lot. In my imagination." As fast as the light to reach regions beyond the stars this way we need a flight without having to stop on Mars. How can we do that? If space is like a big map a star looks like a tiny dot, actually there is a huge gap. We need a new invention that helps us find an unknown world but science needs more imagination then there will be a new word. Perhaps we will find a hole and by using light from the stars it could help us attain our goal of putting ignorance behind bars. His address is available for anyone wishing to write to him. 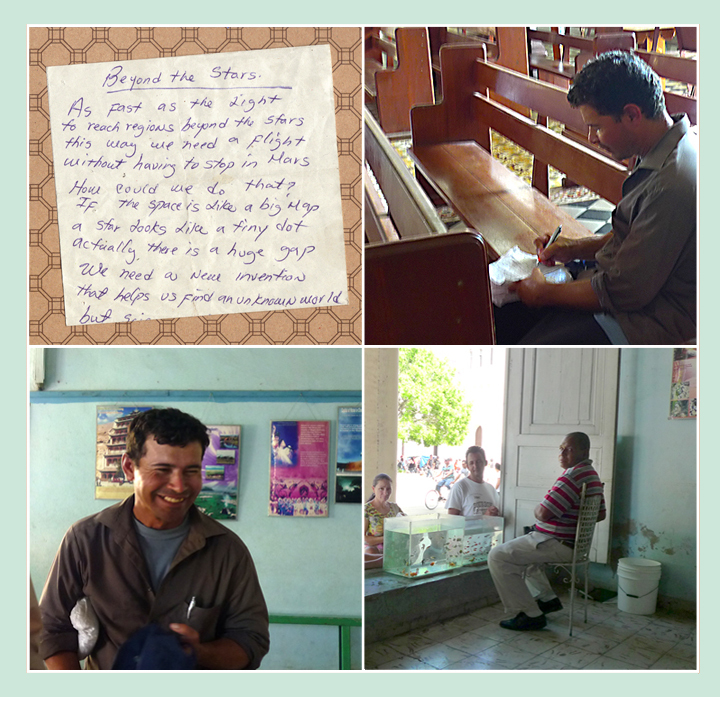 He is eager to reach out beyond the physical and sociological borders of Cuba.